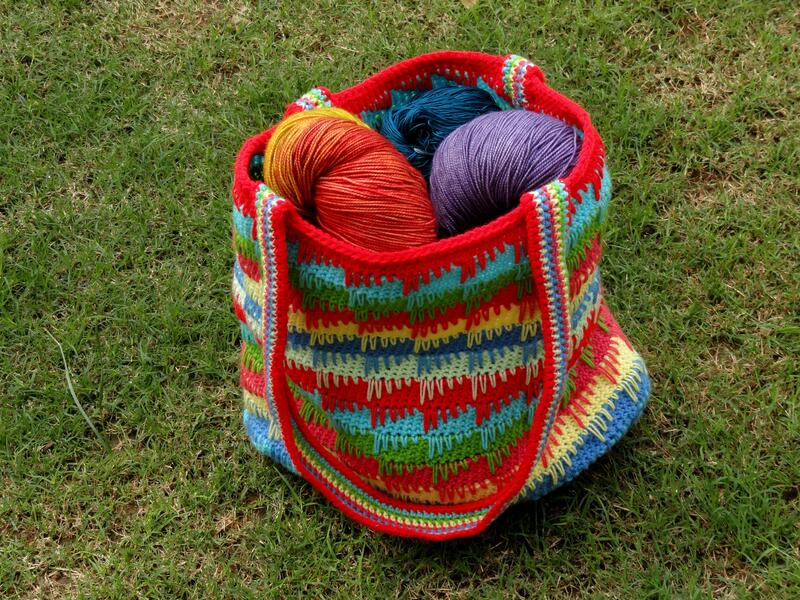 Superb bag,I have to search my stock of yarns and start one. Love!!Love! !Love this bag!! And the colours you’ve put together are gorgeous! Just happened to stumbled upon the blog via Rave. Very neat one. I have practically given up on knitting but still try to take a peek at rav projects whenever I get a few extra seconds. Love it, Love it, Love it! Gotta make one too! 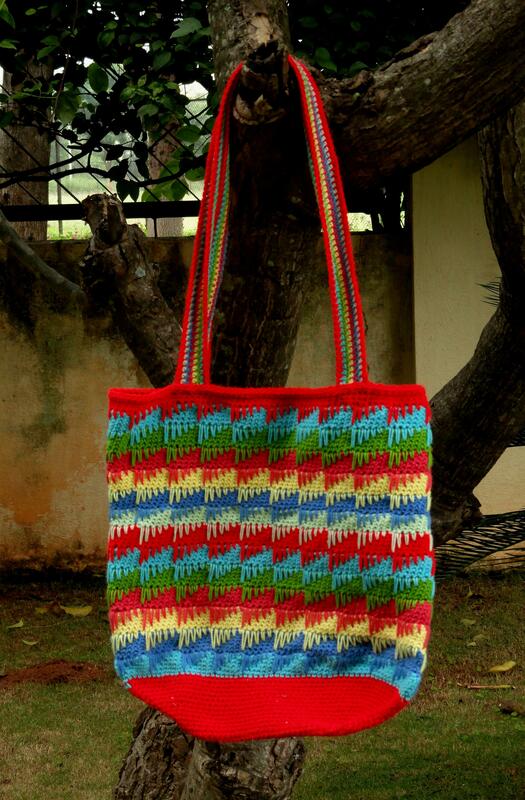 wow..very bright and cheerful bag..Like it! !